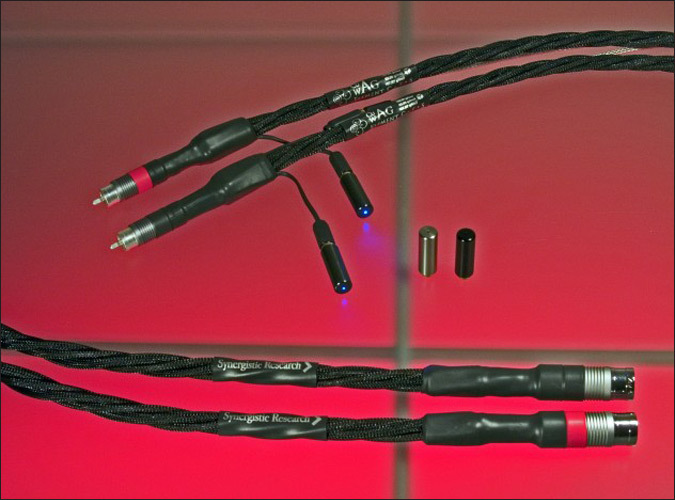 In April 2009, when I reviewed Synergistic Research’s Tesla Apex interconnects and speaker cables, I concluded that they were among the best cables I’d heard regardless of price -- and I had heard more than a few. However, as a result of nothing more than my own carelessness and the need to begin my next review, I failed to give the Teslas the Reviewers’ Choice award they deserved. I remedied that failing two months later in a follow-up review, and wondered what Synergistic could come up with next. 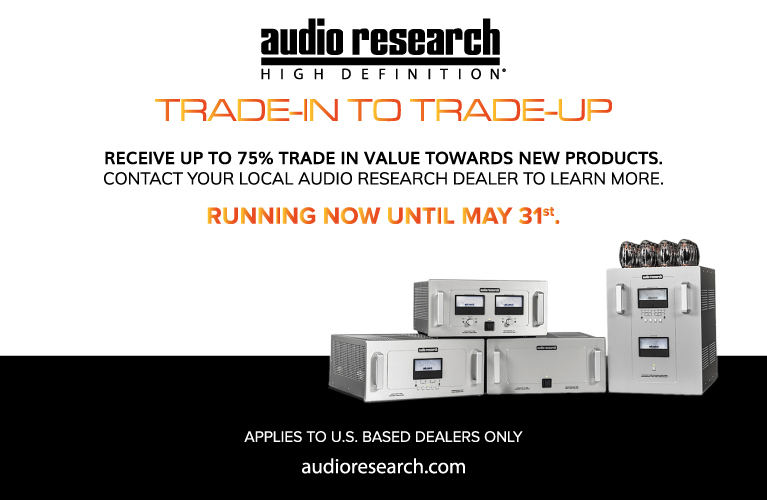 I got my answer at the 2011 Rocky Mountain Audio Fest, when the company’s chief designer, Ted Denney III, released their new Element models. At that show, Denney told me that the Element cables represent an "enormous" jump in performance over the Teslas, which are to be discontinued. Knowing firsthand just how good the Teslas are, I was skeptical of this claim. Clearly, a review was in order. 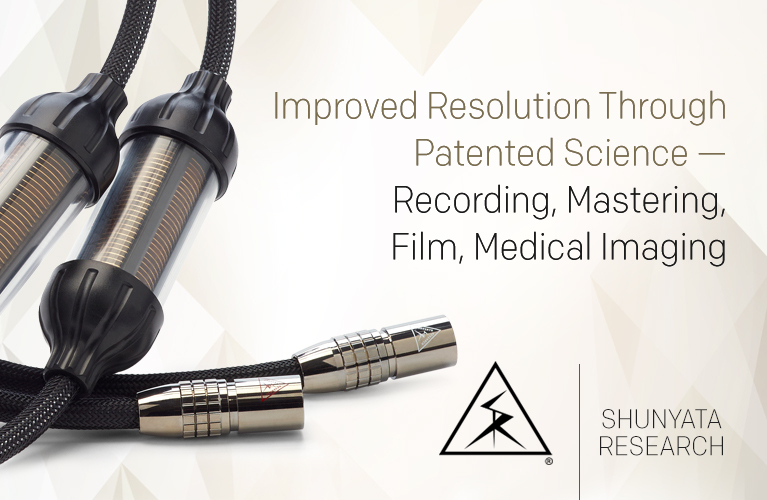 The Element cables can be traced back to the Galileo research program of 2009-2010, in which Synergistic aimed at creating ultimate-performance, cost-no-object speaker cables and interconnects. Well aware that copper and silver are widely used in audio cables, Denney wondered at the time if any other metallic elements had been overlooked, and began to examine the electrical characteristics of many of them. 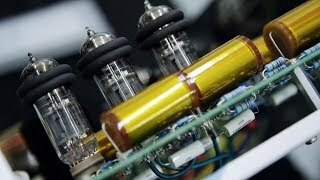 The immediate result was the über-expensive Galileo System speaker cables ($55,000 USD per 8’ pair) and interconnects ($33,000 per 1m pair), which use conductors of copper, silver, gold, and platinum. The lower-priced Element cables were born of technologies trickled down from the Galileos. Shortly after speaking to Denney at RMAF, I received a heavy box containing sample pairs of the three new Element interconnects (all 1m long) and speaker cables (8’): the Copper ($1200 interconnect, $1700 speaker), the Tungsten ($2000 interconnect, $2800 speaker), and the Copper-Tungsten-Silver ($3600 interconnect, $7500 speaker). Also in the box were Synergistic’s Mini Power Coupler (MPC) active-shield power supplies and several handfuls of Enigma Bullets, the use of which is explained below. Most of the substances listed in the periodic table of elements are metals, so many that they’re divided into three groups: transition (relatively hard metals, such as iron and gold), alkaline earth (soft metals, such as magnesium and beryllium), and alkali (even softer metals, such as sodium and rubidium). Ted Denney states that, in developing the Element cables, he constructed a dozen interconnects. These varied from each other in only one respect: each of their monofilament conductors was made of a different pure element selected from one of the three groups of metals listed above. Denney began by placing these conductors, each only slightly thicker than a human hair, in an air dielectric encased in a Teflon tube, this in turn surrounded by an active shield. Denney called this geometry an AirString. He chose an air dielectric because it’s known to have the lowest dielectric constant and the lowest dielectric loss (i.e., the leaching of electrons into the dielectric) of any geometry. Parallel to the AirStrings, Denney ran silver-matrix Tricon geometries with separate conductors for signal, ground, and shield. 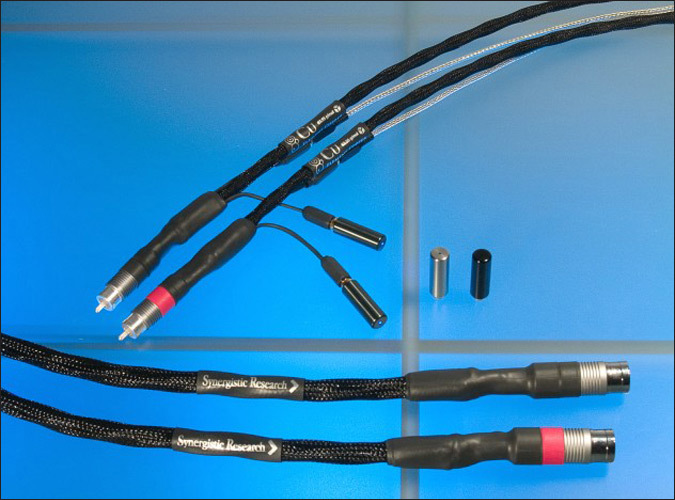 These highly conductive parallel geometries made it possible for Denney to test elements that are highly resistive and therefore not typically ideal for use in audio cables. The interconnects were then Quantum Tunneled, a Synergistic treatment described in my April review; briefly, it involves zapping a conductive object with 2 million volts at low amperage. Blind listening tests conducted on these interconnects indicated that three transition metals sounded superior to all others. The first two, copper and silver, were not surprises, but the third one was. 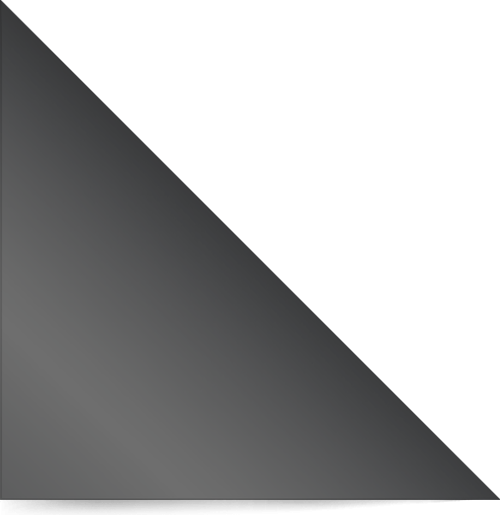 Tungsten, a rare and shiny grayish-white metal, is only moderately conductive and is much more resistive than silver or copper. Alloyed with other metals, tungsten makes them extremely hard, and so is used to create industrial superalloys, armor-piercing munitions, and nuclear weapons. 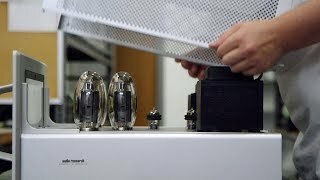 Although the metal has long been used to make filaments in vacuum tubes and incandescent light bulbs, Denney states that pure tungsten had never before been used to conduct audio signals. The AirString conductors of Synergistic’s Copper and Tungsten interconnects contain, respectively, 99.9999% pure crystal copper and 99.99% pure tungsten, in an overall geometry identical to that of Denney’s test cables. Other than the metals used in their conductors, the Tungsten and Copper interconnects differ only in their terminations. Pure tungsten is so hard that it can’t be soldered; Synergistic thus terminates the tungsten conductors in the Tungsten and Copper-Tungsten-Silver cables by a proprietary method. 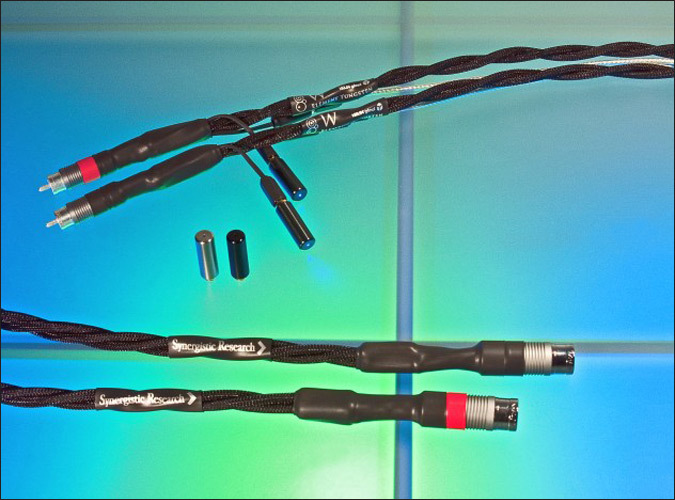 The top-of-the-line Copper-Tungsten-Silver interconnects differ from their lower-priced siblings in containing three separate, actively shielded AirStrings, each of which has a single conductor. One of these conductors is of 99.9999% pure silver; the other two are of 99.9999% copper and 99.99% tungsten. All are actively shielded with parallel Tricon geometries. Each Element speaker cable has one or three AirStrings, each of which contains conductors of copper, tungsten, or silver, depending on the eponymous model. Thus, the Copper-Tungsten-Silver speaker cable has three AirStrings, one each of copper, tungsten, and silver. These AirStrings share common Tricon geometries, and have separate ground conductors from their active shields. 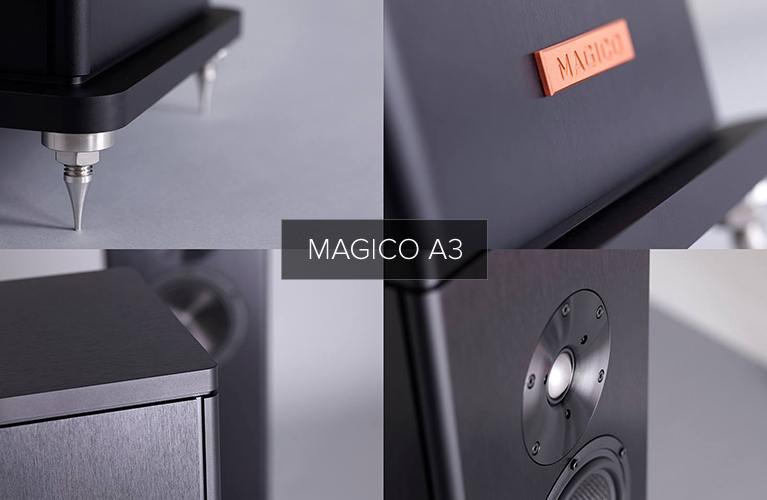 Each Element speaker-cable model also has parallel high-current geometries designed to complement the subjective sound characteristics of its metal conductor: one each for the Copper and Tungsten cables, and two for each of the three conductors in the Copper-Tungsten-Silver cable. The upshot of all this is that the Element Copper and Element Tungsten speaker cables have three parallel geometries, each of which constitutes a complete speaker cable in its own right. Incredibly, the Copper-Tungsten-Silver speaker cable has six such geometries. Like all the Element cables, the C-T-S is not easy to build. Each requires 136 point-to-point hand-soldered connections and takes 16 hours to construct. Each Element interconnect has SR 20 RCA or XLR connectors, named for Synergistic’s 20th anniversary. These have pure-silver conductors, and hollow signal pins to reduce skin effect. 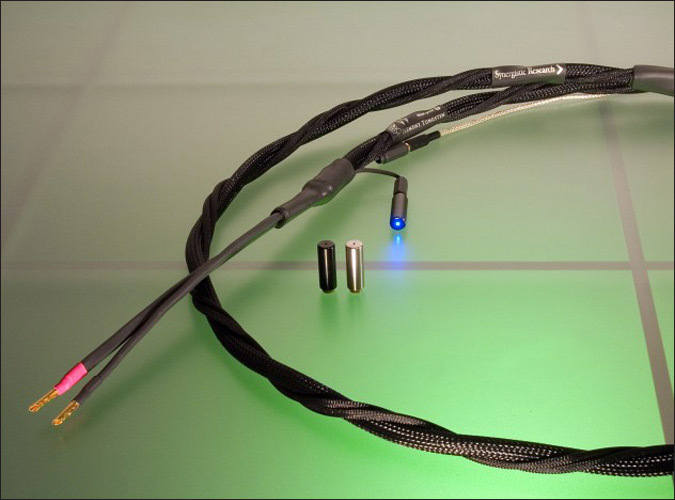 In the Tesla cables, a single proprietary circuit and an LED are integrated into the cable. According to Denney, different types of circuits affect a cable’s tonality and other sonic characteristics in different ways. When the LED is lit, the shielding is working. However, because this circuit and LED can’t be removed, Denney was forced to select a circuit that was tonally optimal for most systems, but not all. For the Elements, Denney has placed both circuit and LED inside an Enigma Bullet. Every cable pair comes with three different-colored Bullets (black, gray, silver), each of which contains a different-sounding circuit. By changing the Bullets, the consumer can easily tune the cable, or replace the LED if it burns out. Denney said that the silver Enigma Bullet offers excellent high-end extension, the black low-end warmth, and the gray a combination of those effects. 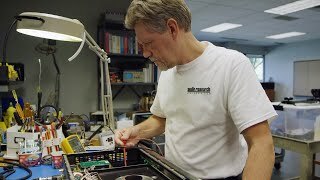 He also said that it is the ability to swap out Bullets to vary the sound of the Element cables that makes them easy to match not only with a wide variety of audio systems, but with other brands of cable. The Enigma Bullets’ LEDs can’t be Quantum Tunneled -- they would fry. 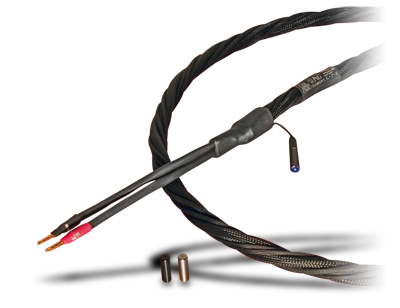 By placing the LEDs in the Bullets and not in the cable itself, Synergistic can now QT not only the cable’s signal and ground conductors, but its active-shielding conductors as well. Denny states that this further improves the Elements’ performance. The fact that a cable’s active shielding can alter the sound of a system, even profoundly, is something I long ago accepted, despite the fact that the shielding lies outside the signal path. 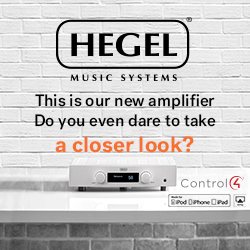 All you have to do is unplug the shielding of any of Synergistic’s active cables and you will immediately hear, among other things, an objectionable shrinking of the soundstage and reductions in low-end extension, impact, and control. Also relevant to the active shielding of the Element cables is that they come standard with Mini Power Couplers. Upgraded Galileo MPCs, which also improve performance, are available for $400 each. At first, I wasn’t sure which Element model might work best with each of my components. Of the old Teslas, the lush-sounding Apex interconnect worked best from source to preamp, and the fast, sharp-sounding Precision Reference interconnect worked best from preamp to amp. Nor did the most expensive Tesla always produce the best sound. Things were different with the Elements. You choose the model you can afford and tweak as needed with the Enigma Bullets. A word of caution, though: As described below, and like every other audio cable I’ve heard, each Element has its own personality; it can’t be thrown into a system willy-nilly. According to Ted Denney, systems that include only Element cables will almost always require mostly gray Enigma Bullets and a few blacks or silvers, depending on how much warmth or transparency is needed. However, a different mix may be called for if other cable brands are used, or if the system’s sound requires more substantial adjustment. I began with all gray Bullets. After some experimentation, I wound up adding two silver ones, which I alternated between the cables. Also according to Denney, the low amount of conductor material used in the Elements (in part due to the use of the air dielectric) means they need no more than 100 hours of break-in. I kept them in my system for at least that long before I listened critically. Once in place in my system, the Element Copper cables grabbed my attention like the ice-cream man on a hot summer’s day. They threw an absolutely immense soundstage with uncanny image solidity. 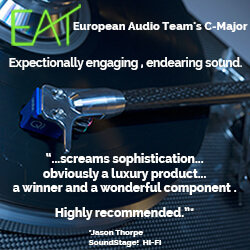 They sounded rich, full-bodied, weighty, sweet, and warm. 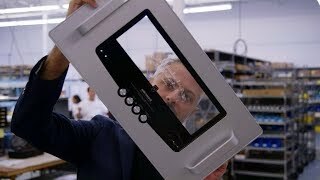 They also had Synergistic’s trademark holographic sound, making my MartinLogan Summit X speakers image as deftly as has any cable I’ve used in my system. But one hopes there would be a good reason you’d pay more for the Tungsten and Copper-Silver-Tungsten cables, and there was. The Copper had a slightly congested bottom end and a bit of edge up top, the latter apparent when I listened to soprano Galina Gorchakova’s highest notes in “Quando me’n vo,” an aria from Puccini’s La Bohème, on her Italian Opera Arias (SACD/CD, Delos DS3286). Through the Copper cables, these notes sounded a bit peaky. Despite these minor -- and I do mean minor -- drawbacks, I was flabbergasted at the level of performance the Copper brought to the table for the money. As this was the lowest-price Element model, I could hardly wait to move up the chain. The Tungsten cables displayed none of the ultimate shortcomings of the Coppers. Instead, they conveyed more information and were much more refined and delicate from top to bottom. Gorchakova’s highest notes in the Puccini aria were utterly extended, yet silken and free of glare. In “Poem of Chinese Drum,” from Yim Hok-Man’s Master of Chinese Percussion (CD, LIM K2HD 033), subtle drumstrokes were more nuanced and tightly drawn than with any other cable that has been in my system. The Copper-Tungsten-Silver cables wanted for nothing. They had the cultivation of the Tungstens, the warmth of the Coppers, and more of everything else. In addition, they produced more high-frequency air and detail, had better speed and attack, and threw a larger soundstage than their lower-priced siblings. They also were more holographic. When I paired the C-T-S cables with YG Acoustics’ Kipod II Signature speakers for the Nick Brignola Quartet’s performance of “In a Sentimental Mood,” from Live! BluePort Jazz Sampler (CD, BluePort BP J015), the results were pure magic. Readily apparent were subtle sounds of the audience, as well as spatial cues that defined the physical parameters of the club: the Jazz Bakery, in California. 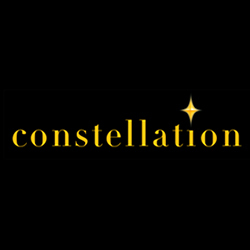 The sound was so realistic and the sense of a transducer so absent that, with the lights of my listening room turned down, it almost seemed as if I could walk through the darkened club, perhaps on my way to a well-lit lobby. The Copper-Tungsten-Silver/YG Kipod magic was also apparent with Jorma Kaukonen’s Blue Country Heart (SACD/CD, Columbia CS 86394); the speakers communicated Byron House’s double bass with a completeness and an accuracy that was nothing short of revelatory. This was true even with respect to the most heavily plucked strings, which retained their full transient snap but lost nothing in texture, warmth, or tunefulness. This level of performance was awe-inspiring and intoxicating. Nor were the Enigma Bullets mere gimmicks. Swapping them out, whether on interconnect or speaker cable, wrought differences that were not at all subtle. I found that the silver Bullets sounded the most transparent and emphasized the notes’ leading edges, providing a sound that was more detailed than with the black or gray Bullets. The silvers should be perfect for systems that require an injection of upper-end air and extension. But be careful -- too many silver Bullets could yield an overdetailed and aggressive sound. The black Bullets offered a richer, rounder, duller sound with a bit of compression that slowed things down a touch. You don’t want too many of these in your system, either -- though they might be just the ticket if your rig tends to sound too forward or analytical. The black Bullets were also more inclined to gloss over a recording’s sonic imperfections. Yes’s Tales from Topographic Oceans (HDCD, Atlantic AMCY-6296/7) is bright and edgy; adding a black Bullet to the Element speaker cables brought some needed balance and richness. I compared the Synergistic Elements to the outgoing Teslas, which I’ve been using as references. In general, the Elements are a bit thinner and more pliant than the Teslas and are thus easier to work with. But the most important differences between the two cable lines were, of course, their sounds. Of all of the Elements, the lowest-priced, the Coppers, perhaps due to the absence of tungsten, sounded most like the Teslas. Nonetheless, as astonishing as it may seem, the Coppers outperformed even the top-of-the-line Teslas. Yes, you heard that correctly. For example, the $1700 Element Copper speaker cable outperformed the $6500 Tesla Apex, and by not a small margin. In my April 2009 review of the Teslas, I said that the introductory chimes in “Time,” from Pink Floyd’s Dark Side of the Moon (SACD/CD, Capital CDP 5 82136 2), demonstrated incredible upper reach and decay. The Elements bettered the Teslas in both departments, sounding more extended and retaining more of the chimes’ self-destructing metallic trail. However, the Elements also made the chimes sound decisively more “right”: they had much better body and pitch. In comparison, the Teslas sounded flat, and seemed to reproduce the chimes with an inaccurate tonality. The Elements also presented a more open and realistic soundstage than did the Teslas, even though the latter are known for being particularly good at just that. With the Nick Brignola Quartet’s recording of “In a Sentimental Mood,” the Elements more fully passed on the Jazz Bakery’s spatial cues, allowing the YGA Kipods to more accurately convey the sense of actually being in the club. One reason the Elements better communicated such information was that they were quieter than the Teslas. Asked why this was so, Ted Denney attributed it to a variety of factors, including the enhanced Quantum Tunneling, the removable circuit, the air dielectric, and the new SR 20 connectors -- the last of which, he said, are far superior to those used on the Teslas. Incredibly, with the new Element cables, Ted Denney III has pulled another rabbit out of his hat. Compared to the Tesla line, the Elements offer not only greater simplicity and flexibility in use, but dramatically better performance. Indeed, the fact that the entry-level Element Copper cable outperforms the top of the Tesla line, the Apex, is astounding. Are the Synergistic Elements the best cables that can be bought for the money? I have not heard all the cables out there, so I can't say for sure. 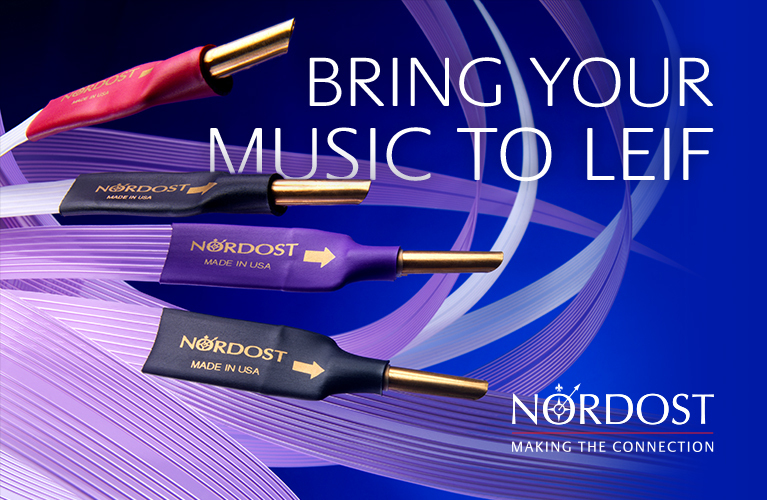 What I do know is that they make my music sound better than any of the many other cables I’ve tried in my system. Prices: $1200, interconnects; $1700, speaker cables. 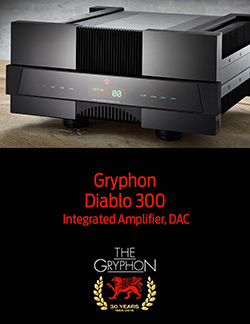 Prices: $2000, interconnects; $2800, speaker cables. 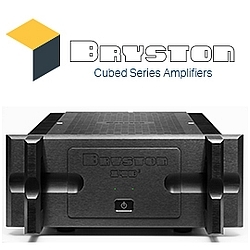 Prices: $3600, interconnects; $7500, speaker cables. Warranty (all): One year parts and labor. Note: All prices are per pair: 8’ speaker cables, 1m interconnects. XLR terminations cost $95 extra per cable pair.